Request a quote for used Cisco UCS servers. Fill out our Request a Quote Form and tell us your requirements. We promise to respond with fair pricing on your Used Cisco UCS Servers within 24 Hours. Free up your storage room space! We buy Cisco UCS servers, processors, UCS Server Memory, and hard drives. Let us know if you have any surplus data center network hardware that you are looking to sell and we will quote you a fair market value. 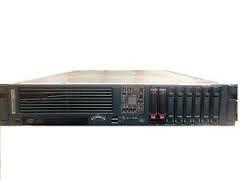 A-Z Computer Liquidators buy and sell used B-Series servers, C-Series servers and components.